There are different methods for making homemade soap, cold and hot process. Share your stories. When you share your stories you help others learn. When you read others stories, you may learn something new. This soap making information can save you time, money and energy! Have you ever heard the phrase, "pay it forward"? It means do something to help someone else, anyone, with no strings attached. There is no financial cost to you. It makes your heart feel good when you've done a kind deed for someone else, even a total stranger. Sharing your soap making story is a kind deed and it's free! Here are some topics as suggestions to help you get started writing. Submit your story below. After approval, the world can read it on this website! Take a few moments and think about what you're writing. A few paragraphs will be just fine. It doesn't have to be perfect but it does have to be YOUR story. No copy or pasting allowed. To find examples of stories read the ones listed below. You might just learn something new! 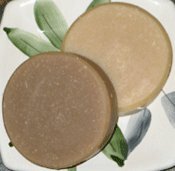 This page is a fun and informative place for beginner to experienced soap makers. You can find an abundance of soap making information, here! Don't be shy! Have fun! People want to know! "Thanks" for sharing! Share YOUR Soap Making Story! Your soap making story will appear on a Web page exactly the way you enter it here. You can wrap a word in square brackets to make it appear bold. For example [my story] would show as my story on the Web page containing your story. Click below to see some great stories about making homemade soap. They were all written by other visitors to this page.